Thanks to all of you who entered our recent competition to win a pair of tickets to the premiere of Black Sheep at this year's Film4 FrightFest at London's Odeon West End. Congratulations Matt, we will email you shortly on how to pick up your tickets for the event. 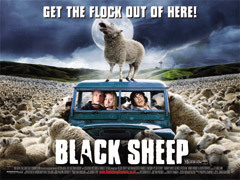 Featuring 25 films and lots of assorted special treats (including the first glimpse of Neil Marshall's Doomsday), Film4 FrightFest 07 looks set to be a great event, not least of all for the opening film - the great new horror comedy from New Zealand - Black Sheep. For more information on the film's Film4 FrightFest screening, visit the official website at www.frightfest.co.uk. Terrified of sheep and dosed up on therapy, Henry Oldfield (Nathan Meister) returns to his family’s farm to sell out to his older brother Angus (Peter Feeney), unaware that something baaaad is going on: Angus’ reckless genetic engineering program. 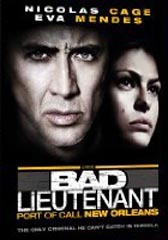 When a pair of inept environmental activists release a mutant lamb from Angus’ laboratory onto the farm, thousands of sheep are turned into bloodthirsty predators. Along with farmhand Tucker (Tammy Davis) and greenie girl Experience (Danielle Mason), Henry finds himself stranded deep on the farm as his worst nightmare comes to life. Black Sheep will be released theatrically on October 12th. Visit the official website at www.blacksheepthemovie.co.uk. FullScreen l High l Med l Low.